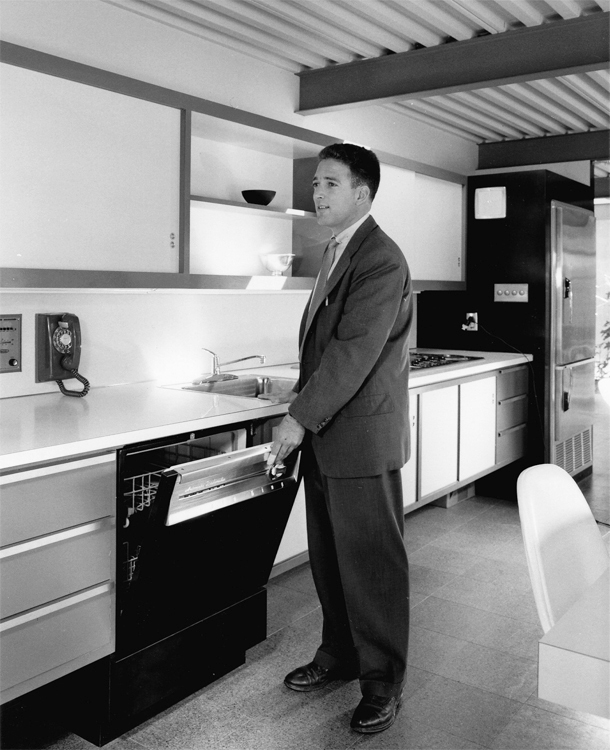 Ned Eichler had much to do with the success of Eichler Homes, helping develop the firm’s marketing strategies in the early 1950s, and its efficient system for buying materials in bulk and packaging them for delivery to job sites. But Ned, who died March 27 at age 83, did much more during a busy and productive life. 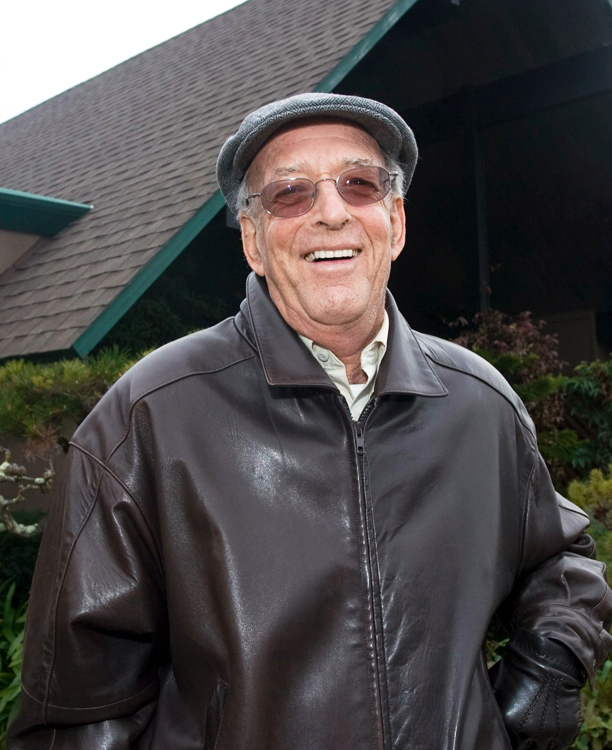 He died at his Tiburon home, his wife Ava said. The cause of death was Alzheimer’s disease and pneumonia, she said. Ned Eichler is survived by sons David and Steven, daughter Gina Tomaselli, stepdaughter Erika Elliott, and granddaughters Taylor and Catheryn Elliott, and Sarah and Lauren Eichler. A memorial will be held later this spring. Ned died on the day of longtime Eichler saleswoman Catherine Munson’s memorial service, an event he and Ava had planned to attend. A strong-willed man and a natural leader, yet a man who was different in many ways from his father, Ned Eichler built several related careers, in real estate development and financing. Working for the Victor Palmieri Company, he also helped disentangle and dispose of the properties that had belonged to the Penn Central after the railroad firm and conglomerate went bust in the early 1970s. As an offshoot of that venture, Ned Eichler became president of a homebuilding firm that far exceeded in size anything his father ever owned, Levitt Corp., builder of Levittowns. Ned also served as chairman of the California Housing Commission in the early 1960s. A graduate of Dartmouth -- he always regretted not going to Columbia instead -- Ned served from 1952 to 1954 with the Signal Corps in France and Germany, much of the time playing golf, a sport at which he excelled. Ned wrote several books about 'merchant builders,' new towns, and 'The Thrift Debacle,' about the savings and loan implosion of the 1980s. He also wrote an unpublished memoir, and spent much time in later years writing short biographies of writers and political leaders (Marx, Keynes, Otto von Bismarck, Willa Cather, Colette, among others). four countries -- Russia, France, Great Britain and the United States,” he wrote in his memoir. A soft-spoken yet steely-eyed man, Ned served as a foil for his dad during the days of Eichler Homes, often arguing against such visionary (and usually money-losing) ventures as building semi-custom homes, and building homes in Southern California and New York, or in urban San Francisco neighborhoods. Ned eventually left the family firm because his father did not allow him to play a meaningful role in setting the direction of the company. He was particularly proud of his success in the 1980s and 1990s as an innovative mortgage lender to apartment developments through his Eichler Corp.
Ned was always generous in sharing his memories and his time over the years with the Eichler Network, which has written dozens of historical articles about Eichler Homes that depended on Ned’s recollections. He was a superb raconteur – and had once intended to live in Paris and become a writer. Although he and his father had their differences, and Ned believed his father did not pay enough attention to his son, Ned admired his father deeply for his intelligence, ethics, charisma, grace, and commitment to his vision for Eichler Homes.